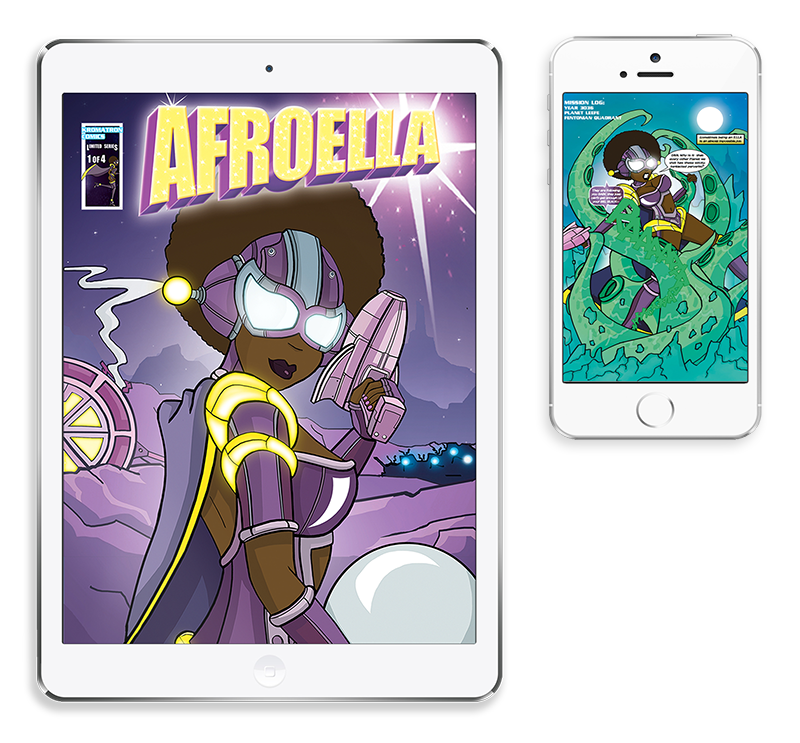 Available for the first time in digital format exclusively to our kickstarter backers, join Afroella for the Funk-Fuelled first edition in her limited series! 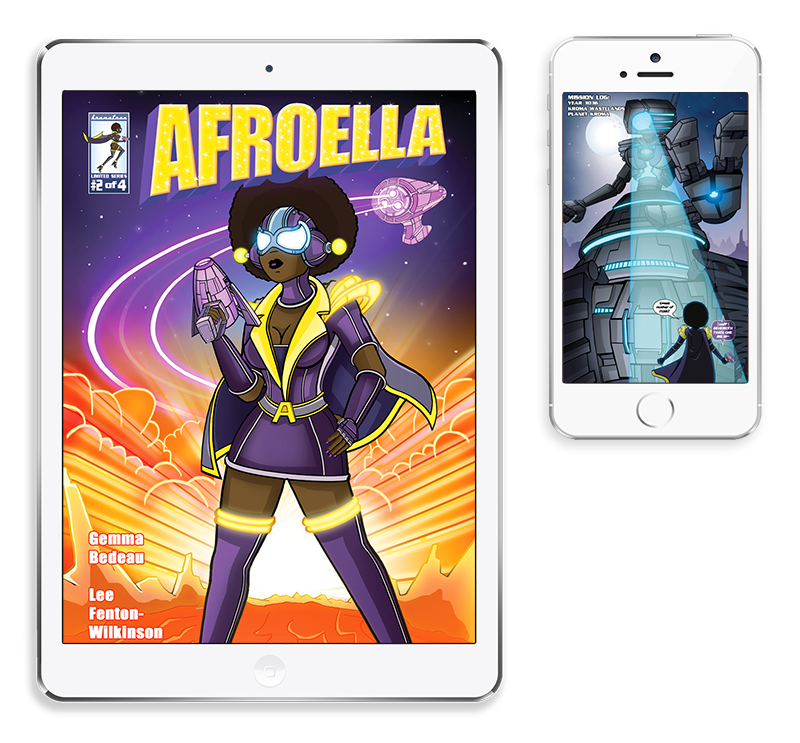 When Agent 36-24-36 codename Afroella is placed on a new mission, can she expose what happened to the president of a troubled planet? Afroella’s hopes of finding the truth might just be shattered when the planet begins to reveal its dark core. Enter the super secret backers password below to access your download. The second outta-sight issue of the Glyph Award nominated Afroella! For as long as she can remember Afroella has fought for justice, soccing it to succas across the universe, and there’s no one better in the saving the galaxy business. But now, Afroella finds herself against a foe of immeasurable power, this time her training really might not be enough.